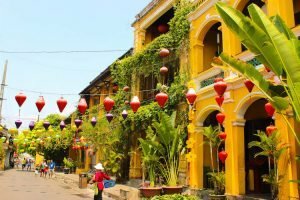 If there is one town in Southeast Asia that has fascinated me from the very first second, then it’s definitely Hoi An in Vietnam. This town is not only UNESCO World Heritage (and twin town of my university city Wernigerode) but also such an amazing place that I could have stayed there for ever. 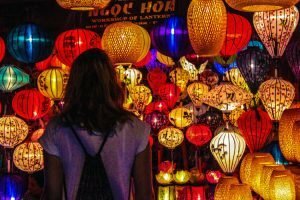 Have you recognized something special in the photos? – Yes, the lampions. 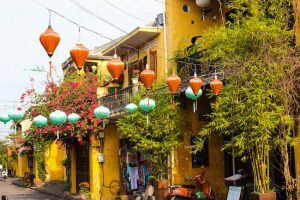 Hoi An is world-famous for its very colourful and beautiful lampions. They look great over the day, but as you can imagine they become even more magical at night. 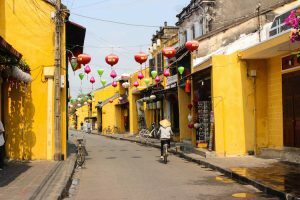 Besides Hoi An’s great alleys, you can find beautiful family houses which often can be visited from the inside. 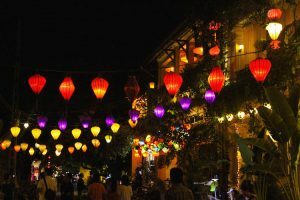 They’re beautifully decorated and absolutely worth a visit. 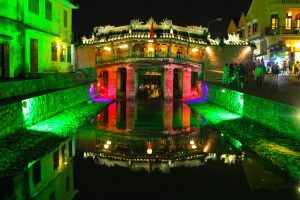 By the way: for all attractions including the ancient town you need to pay a fee. 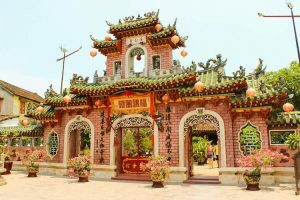 Tickets can be purchased at all entrances of the ancient town as well as at all sights. The architecture is simply amazing! 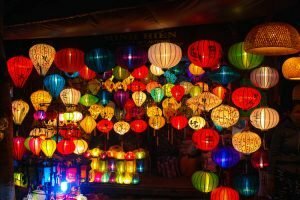 I would have loved to take some lampions home but as I was traveling only with my backpack it wasn’t possible. However, just seeing all these amazing lampions made me very happy. Another great highlight is the evening of full moon. This evening, people put thousands of candles on the river which then becomes a twinkling sea of lights. It’s absolutely breathtaking! 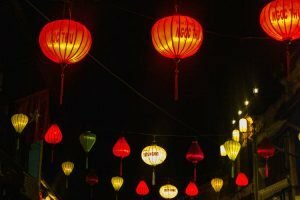 So if you have the chance to visit Hoi An during full moon – do it! You won’t regret it. 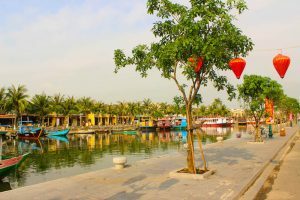 Personally, I think Hoi An is the most beautiful town in Vietnam – maybe even throughout Southeast Asia. 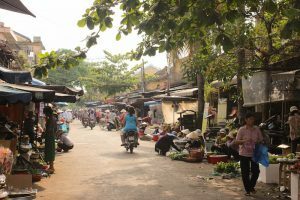 It’s a Must See you shouldn’t miss when traveling Vietnam and / or Southeast Asia.